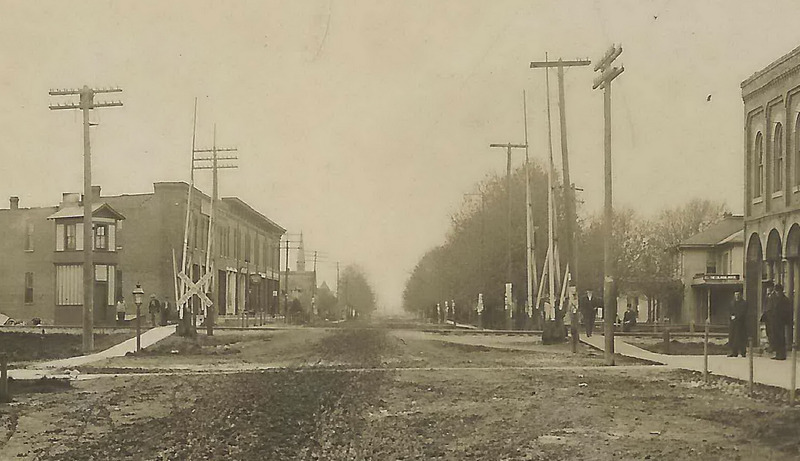 Here’s an interesting old black and white photo of Britton, Michigan, taken in 1909. This is looking west down the present-day M-50/Monroe Road. 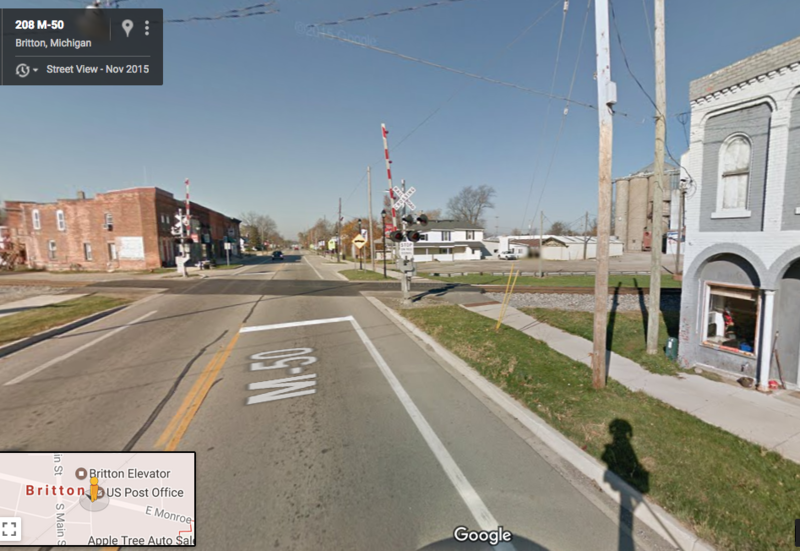 Even though this highway is still a mud road at this time, crossing gates have been installed to protect traffic against trains on the Wabash Railway’s Detroit-Montpelier, OH main line, manually controlled from the little crossing tower to the left. To the right, out of sight, would have been the crossing with the Detroit, Toledo & Milwaukee Railroad’s line from Tecumseh to Dundee. Amazingly, the scene has little changed today. Although the infrastructure has greatly improved, the shop buildings to the left remain, along with the building to the right before the tracks, and the hotel building a bit further on the other side. The crossing tower has disappeared, as have all the pedestrians. Crossing gates still alert traffic to approaching trains as they did 108 years ago. Current-day view of Britton, from Google StreetView.